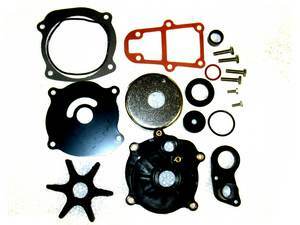 Replaces OEM 395073, Sierra 18-3393, Mallory 9-9-48208. 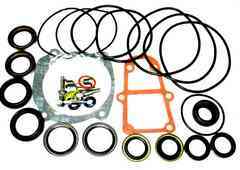 P/N 87600 Complete lower unit seal kit for V6 models. Replaces OEM 5006373, Sierra 18-8384, Mallory 9-74106. Includes all oil seals, o-rings and gaskets. 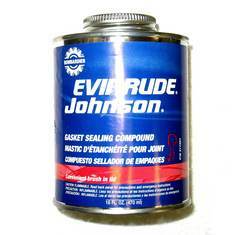 Recommended: gasket sealing compound when using this kit. Replaces OEM 389642, Sierra 18-3043, Mallory 9-45203. P/N 508235 Gasket and sealing compound. Can be used on o-rings.